An easy-to-make, cheddar-cheesy casserole the entire family will love, ready in just 30 minutes with Pioneer Roasted Gravy Mix. 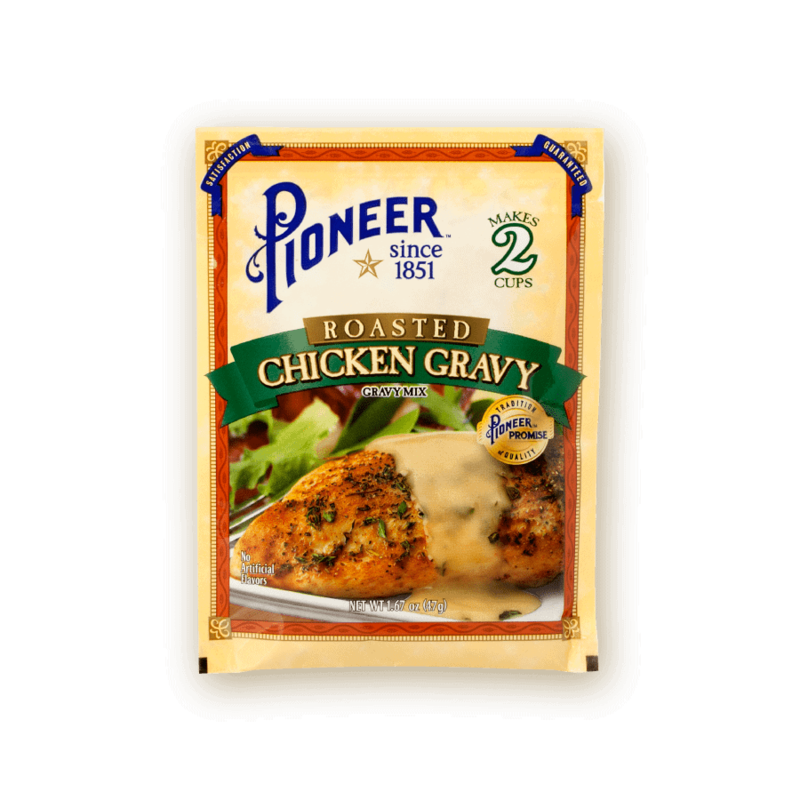 Prepare Pioneer Roasted Chicken Gravy Mix to package instructions. Transfer mixture to a 9×9-inch baking dish and top with bread crumbs.